Wanderers Ladies stars Charlotte Watson and Emily Dark were smiling broadly following Selection to GB Development and Scotland Ladies Senior Squads respectively. Six Scottish players have been selected for the GB women’s Elite Development Programme (GB EDP) squad. Millie Brown, Sarah Jamieson, Charlotte Watson and Katie Robertson, who all featured regularly in the Hero Hockey World League Semi-Final and EuroHockey Championships over the summer, have been selected. Laura Swanson and Lorna Cruickshank are also on the programme – both are also set to win their first Scotland cap in the upcoming series against Ireland. 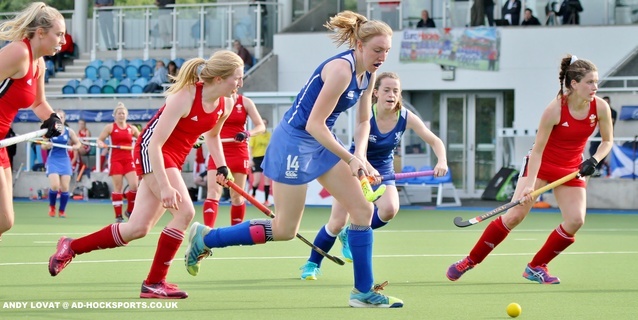 The Scotland women’s hockey squad has been announced for the upcoming test series against Ireland in Belfast and Banbridge, and includes five fresh faces in line to win their first cap. Scotland women’s Head Coach Gordon Shepherd said, “I have decided to use these games to give players who were not selected this summer for the World League Semi Final and European Championships an opportunity to stake a claim for a place in the squad that will be selected for warm weather training in January. The January camp will be the selection phase for the Gold Coast Commonwealth Games. “A number of players were unavailable for selection and this has meant we were able to select some new players to have a look at.